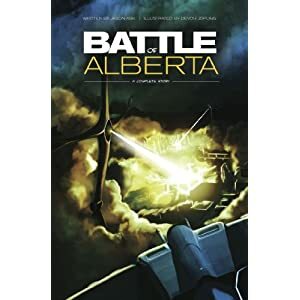 Komickrazi Studios - Temperance's Projects and Rants: Battle of Alberta - Now on Amazon! Wooo! My graphic novel is now available to buy on Amazon! Written by Jason ask, and illustrated by me, this 150 page graphic novel was a real labor of love. I'm glad it's done, but I'm proud of my accomplishment.